(5 stars) Easy setup and just works. I was able to just plug this device in, hook up the required cables and everything just worked. No configuration required other than physically connecting cables. All the cables you might need are included, with the exception of the output HDMI. Video output to the TV I attempted was crisp and clear. There is additional configuration options available if you wish to adjust the input and output settings. I did not find it necessary to alter the settings that the device auto configured. I received this product in exchange for an unbiased review. Simple to install and does the job. 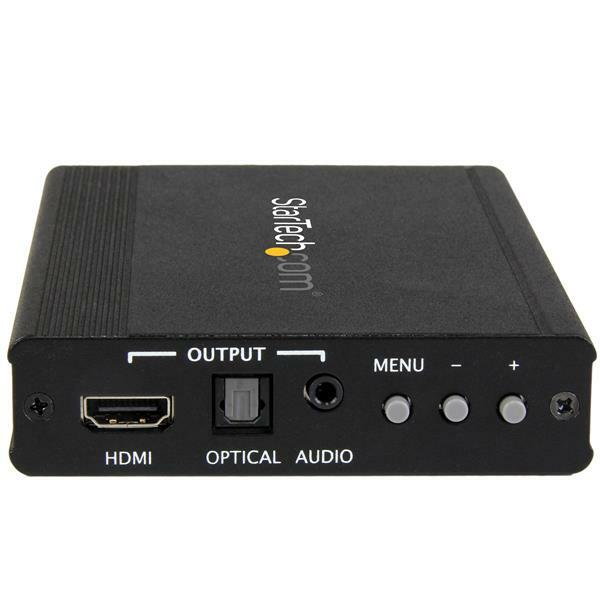 Perfect for people who have a VGA computer and need to connect to a new HDMI monitor. 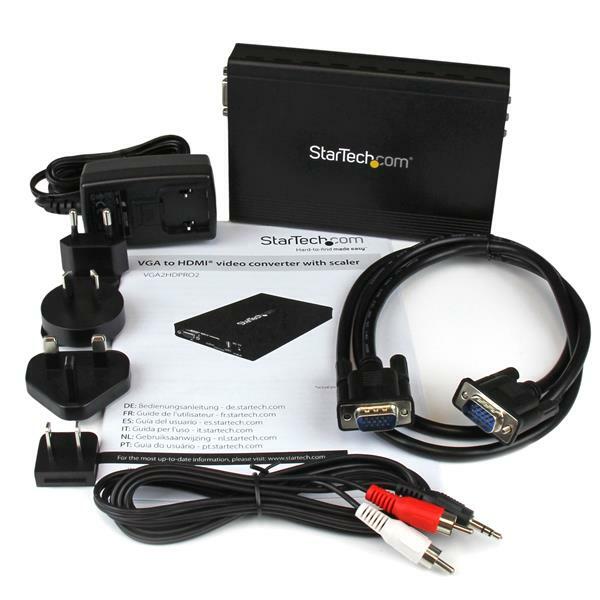 (5 stars) Plug and play! 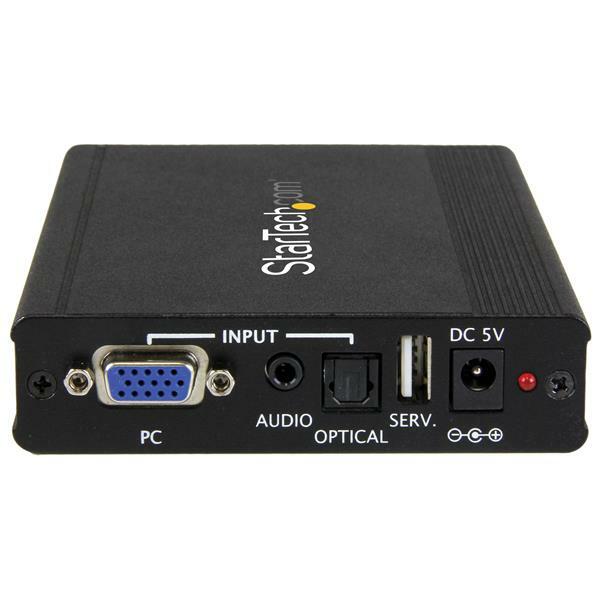 I bought this thinking to use with my setup for vintage gameplay capture using MSDOS but it does not support 720x400 resolution and its impossible to access the BIOS computer to make adjustments. 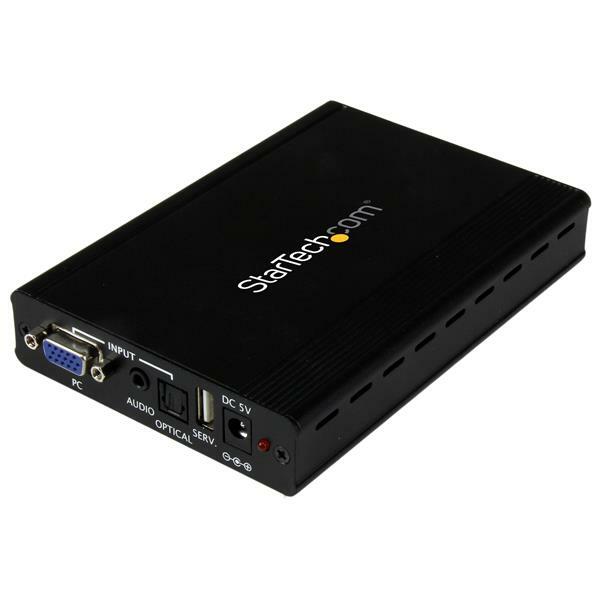 We apologize the VGA2HDPRO2 didn't work for your intended setup. While it does work with a wide range of standard resolutions, 720x400 isn't one that's officially supported. A supported resolution list is available under the Technical Specifications section on the product page.